sesame, peanut, soybean and plum oil, etc. 2. It has the back flush system, which can clear impurities and clean filters automatically. 3. Advanced dielectric condensation device,safe, reliable and easy operation. automatically;also it can drain water on line by water separator device. which can separate the water and gas from the oil quickly. 7.Below a high filtration degree of 1 micro precision and the machine's service life is long. to dewater system to dehydrate and deodorize the oil fast. 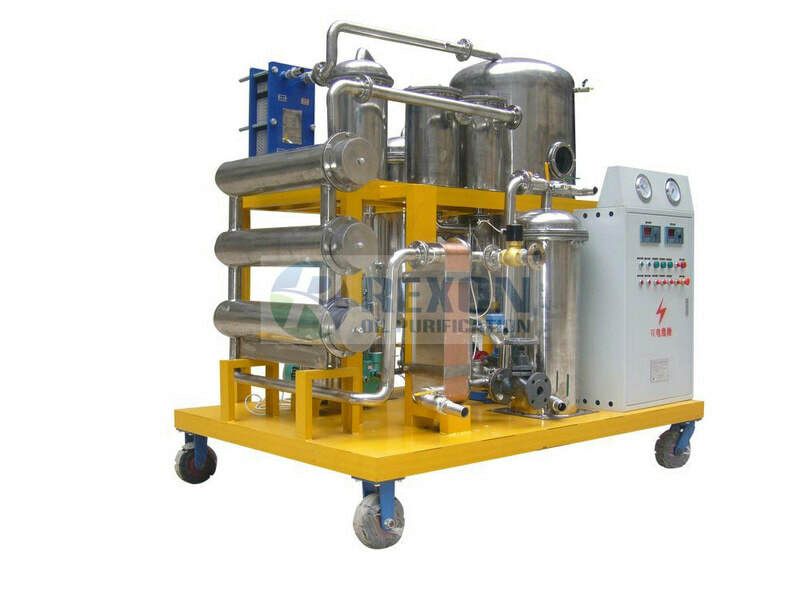 In addition, this machine use stainless steel filter element, it resists the acid in oil strongly. gas contaminants, and the cooking oil/vegetable oil will become limpidity and fresh.